Home » Cancer » Vitamin D and Breast Cancer…Is There a Connection? VitaminD is an important vitamin necessary in many different biochemical reactions within the human body. Although this vitamin is known as a nutrient that controls the metabolism of calcium, it also does much more. Vitamin D also has an impact on the nervous system, immune system, and the blood clotting mechanism. Vitamin D also plays an important role in the control of inflammation and cellular growth. There have been many previous reports which have indicated that blood vitamin D levels can determine the risk of developing heart disease and cancer. Those people showing lower levels of vitamin D or frank deficiencies of this vitamin have been shown to be at a greater risk of developing chronic disease. 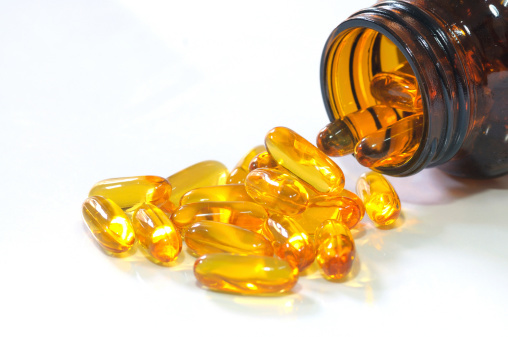 Recent evidence involving the meta-analysis of five studies involving 4,443 participants with diagnosed breast cancer looked at the blood levels of vitamin D and related this to the survival rates of the participants. The results of this study indicated that, over a 10-year period, the participants who had the highest blood levels of vitamin D were 44% less likely to die from their breast cancer than the subjects who had the lowest blood levels of vitamin D.
During the winter months, deficiencies in vitamin D can be much more common because there is a general lack of UV light exposure from direct sunlight. The most important source of vitamin D in human health is the conversion of cholesterol molecules located on the skin into the active forms of vitamin D following the direct exposure to UV light. Previous evidence has indicated that lower blood levels of vitamin D are associated with a lower risk of certain cancers. Now, this new evidence is also indicating that vitamin D is a very important factor in the survival of breast cancer. Other research evidence from breast cancer patients has indicated that those who had very low levels of vitamin D were more likely to suffer from a more aggressive form of the disease. The woman in this particular study who had the lowest blood levels of vitamin D were found to be 94% morelikelyto have their breast cancer spread and 73% more likely to die from it relative to those woman who had normal blood levels of vitamin D.
Cancer cells that penetrate the basal membrane can spread to other parts of the body and quickly become lethal. Vitamin D keeps breast cancer cells closer together and much more adherent preventing rapid growth thus allowing the body’s own inherent defense system to destroy the cancer cells. If you are contemplating taking a vitamin D supplement, do so with at least 1,500 mg of calcium citrate taken with foods. Lowry,Vitamin F.,“Vitamin D Enhances Breast Cancer Survival,” Medscape web site; http://www.medscape.com/viewarticle/821932, last accessed March 18, 2014. Mohr, S., et al., “Meta-analysis of Vitamin D Sufficiency for Improving Survival of Patients with Breast Cancer,” Anticancer Research March 2014; 34(3): 1,163-1,166.